Ms. Josephine Hasse, a reader of Grand Traverse Journal, was kind enough to write in with a few reminiscences that we are glad to publish. Thank you for sharing your past, Josephine! She turned 96 years-young this past October. 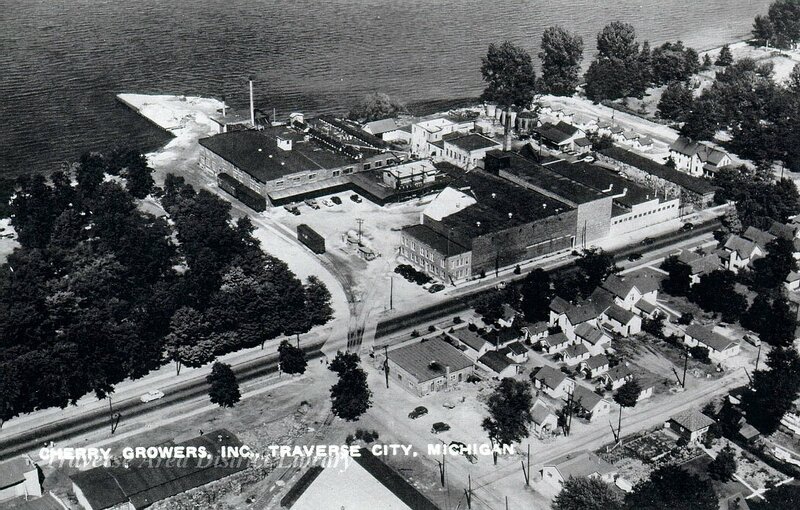 Aerial view of Cherry Growers, Inc., and the Cherry Growers’ wharf on West Bay in Traverse City, 1947. 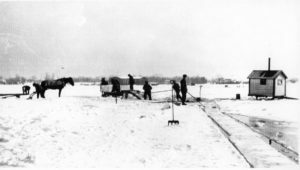 Image from the Local History Collection of Traverse Area District Library. “My father lived in Traverse City since he was a small child, and I learned much from him. He worked where the Maritime building is now and it was Cherry Growers. He was an engineer and kept the ice machines running. Since there weren’t ice machines that made ice in people’s homes, people would bring meat that they bought from farmers and had it butchered into family-sized packages. Then they were put into ‘cold storage’ in bins and when families wanted meat he would let them in to get what they wanted. Workers harvesting ice on Boardman Lake, ca. 1900. Image from the Local History Collection, Traverse Area District Library. Down the street where the Holiday Inn is there was a huge barn and it was full of sawdust. 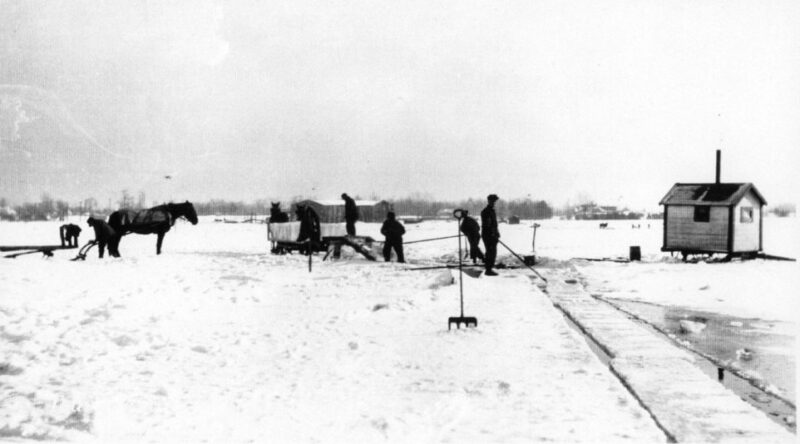 Men would cut ice from the Bay in large pieces and they would haul it there by horse and sleigh. They would stack it up with sawdust between the layers.